Do you want to meet a real hair distributor face to face? Our dream of making a trip to America finally came true! 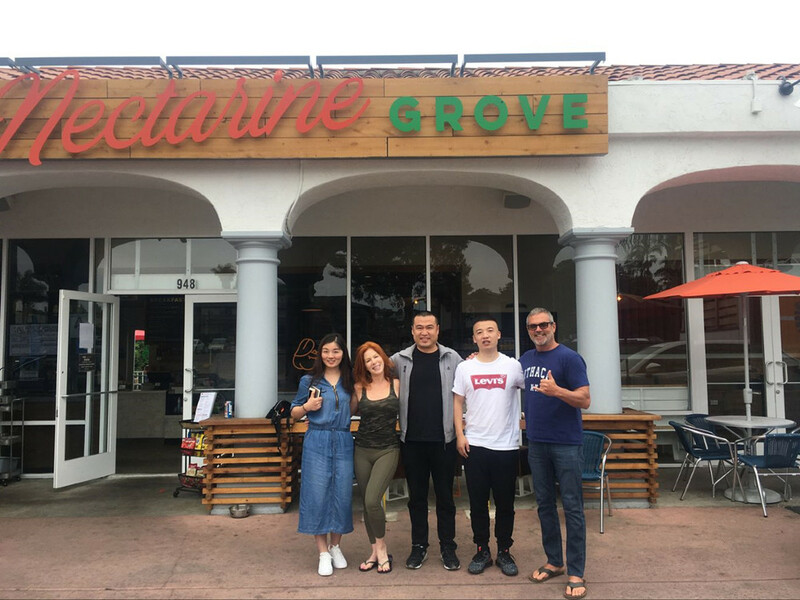 In order to provide better services to our customers, and in order to better understand the local U.S. market, Jeannie and I had visited some customers in Los Angeles at the end of June. As we were traveling to the United States for the very first time, the experience was full of novelty for us. In the past, we had been communicating with our customers via email or phone calls. Sometimes, we have had some difficulty understanding what the customers were really thinking, and we also had no idea what kind of business scale would be the best fit for our customers. This time, the face-to-face meeting with some of our old customers has given us the opportunity to gain a more insightful understanding of the local market. It was much more real compared to our communication over the internet. Right now, we have given them many suggestions in relations to mass selling, development path and product quality. Our final destination was Los Angeles, the city of Angels. We chose LA because it is a major hair industry center, with great views too! Of course, our main goal was to discover more about our clients and the local market. During the two weeks we spent in LA, we met nearly 20 customers, some of them regular and others new. We enjoyed meeting and interacting with our customers so much that we did not want to leave! The most impressive meeting was with Mr. and Mrs. Bartlett, a wonderful couple and our regular clients since 2015. We had been looking forward to them meeting for a long time. It is of utmost importance for Mrs. Bartlett to work with the best tape in hair extensions, and the Bartletts also offer their featured color swatch to their clients. Mr. and Mrs. Bartlett have taken the creative approach to marketing and advertising by telling stories. Over the years, they have acquired many unique skills and techniques of doing business. From this meeting, we learned a lot about the local demand of hair extensions. 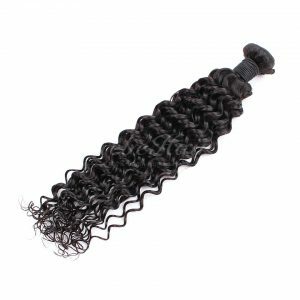 We have discovered that for many women, hair is the most important feature in their appearance, and they prefer to spend money on their hair rather than clothes. At the inception of the company over 10 years ago, the staff capabilities of our team were initially mixed. 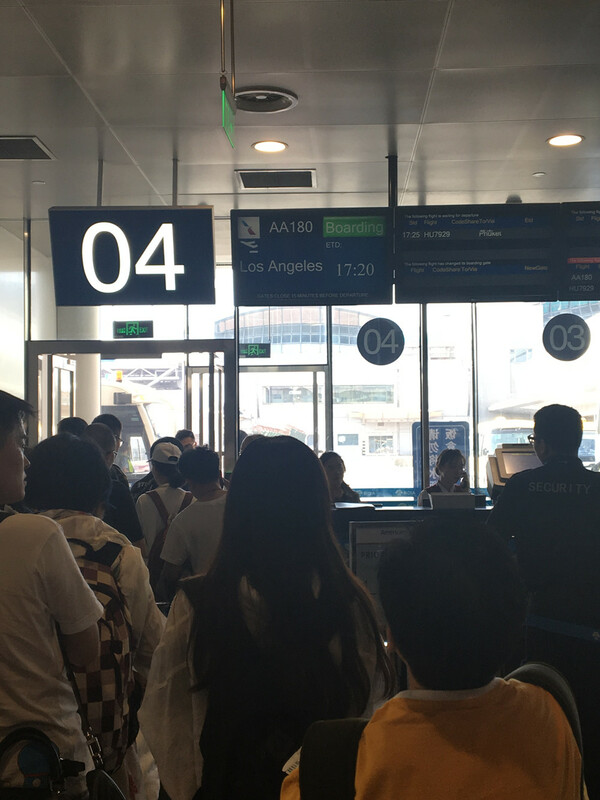 Since we were unfamiliar with the overseas markets, growing our business was sometimes a bumpy road, and we had missed many collaborative opportunities with a wide range of customers. The constant evolution of our team, coupled with a steady growth of our customer base, has allowed us to better understand the kinds of products our customers need through communication with them. This has also enabled us to enjoy a rapid growth amid the continuously rising product demand from our customers. 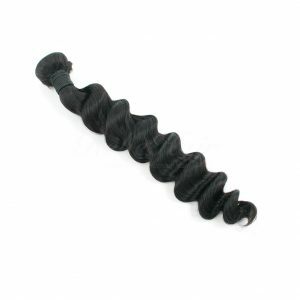 Tina is the owner of a hair extensions and wigs store located in Long Beach. She has been stocking up her inventories from local distributors in the United States. She told us that the local U.S. suppliers are creditworthy and she would not be easily scammed. At the same time, they are providing free shipping, which is also timelier for returns and exchanges after sales. 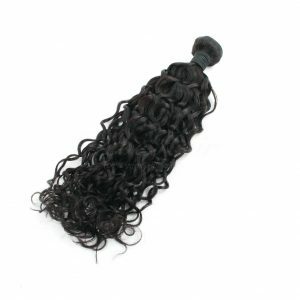 However, she had many issues like shedding or tangling with the quality of their products recently. 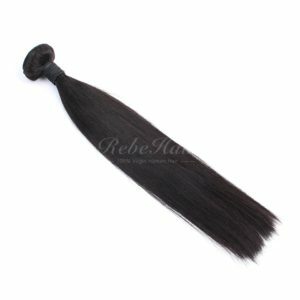 This has motivated her to contact Chinese hair distributor. 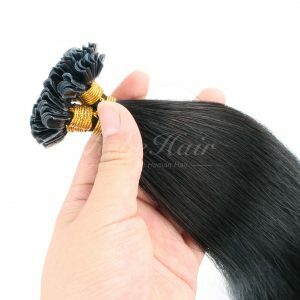 However, while communicating with the Chinese hair vendor, she soon discovered that she was really unfamiliar with the process of ordering of goods directly from China. Moreover, she was greatly concerned that she may be deceived or engaged in business frauds while dealing with hair distributor overseas. In comparison, the local U.S. suppliers were more timely and effective for her business needs. 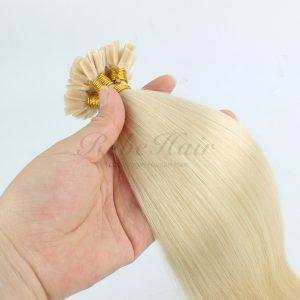 Moreover, one of our customers has a hair extensions and wigs store at downtown.She had prior experiences with ordering goods directly from China. Nevertheless, unfortunately, she had been cheated by unethical hair distributor in China when supplier accepted her money and vanished. Now, she only stocks up on goods from the local U.S. suppliers. Securing the best factory prices (it would be much cheaper to secure the goods directly from the manufacturers, as opposed to procuring them from the local U.S. distributors). Leveraging on the ability of the factory to help you with a part of your inventories (saving your capital). Customizing your unique products according to your needs (offering unique products makes it easier to attain better profits). We are currently planning to build warehouses in the U.S., which will facilitate a speedier product delivery to our valuable customers. This kind of near-customer operation will be more affordable to the clients compared to stocking up on goods through the local U.S. suppliers. Life is full of challenges. If you don’t give it a try, you’d never know how exciting the world is.Right? The process of starting from scratch is always difficult. 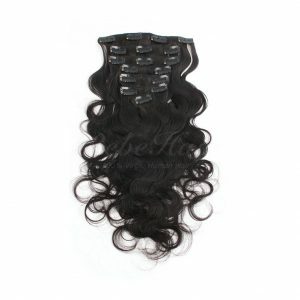 If you are the owner of a salon or a wig store, or if you are a hairdresser, you can establish your own wig brand. Offering products of affordable cost and high quality will help you gain customers, who would also advertise your products through the word-of-mouth in return. Face-to-face meeting with us during our regular trips to the U.S. and U.K. It is our priority to assist you in establishing your own brand and helping your business grow. 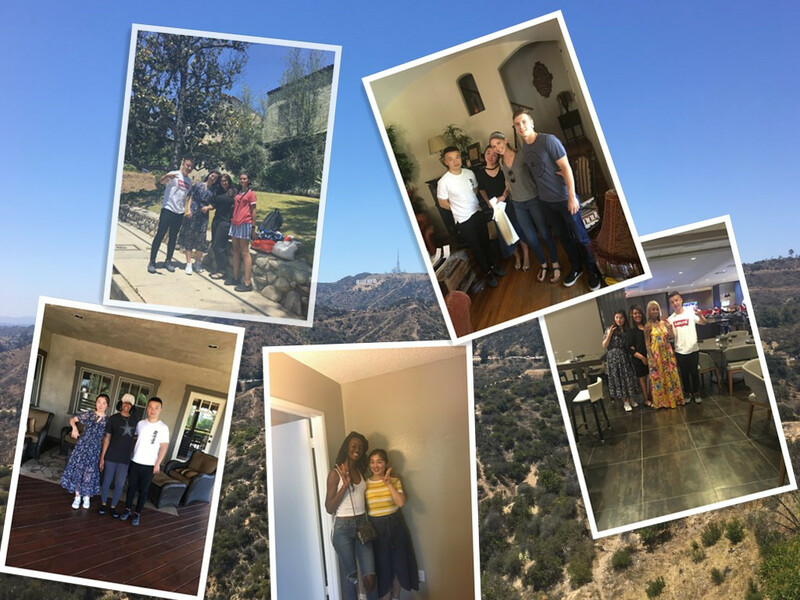 We were also excited to meet three of our clients who traveled to meet us from other states: Tatiana from Oklahoma, Aiesha from Washington and Sarah from Utah. We feel that because we treat our customers with openness and sincerity, we earn their trust in return, and they stay with us for years. Our relationship with our clients is not only a business partnership, but is also a friendship. It is a relationship based on trust, where we also provide our clients with suggestions and advice they seek. We enjoy doing everything we can to help our clients’ business flourish. 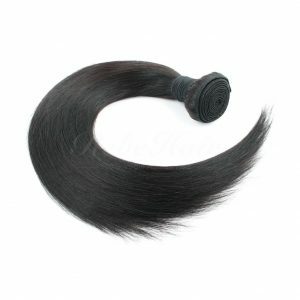 As professional hair distributor, we always consider our customers’ needs and provide them with the best solutions. Our goal is not only to supply our clients with best quality hair, but also to help our clients to grow and succeed in the hair industry. Would you like to meet with us on our next trip to the U.S.? 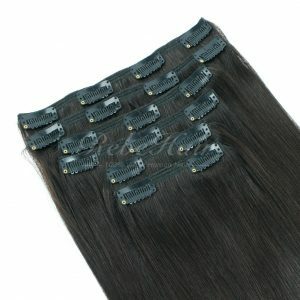 This entry was posted in Hair Extensions 101 and tagged best wholesale hair vendors, brazilian hair bundles wholesale, hair distributors, wholesale brazilian hair, wholesale bundles, wholesale hair, wholesale hair bundles, wholesale hair distributors, wholesale hair extensions, wholesale hair products, wholesale hair suppliers, wholesale hair vendors, wholesale human hair, wholesale indian hair, wholesale virgin hair, wholesale virgin hair vendors, wholesale weave.